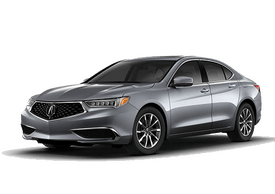 If you’re looking for the perfect blend of luxury and precision crafted performance, there’s only one brand that can satisfy your need: Acura. 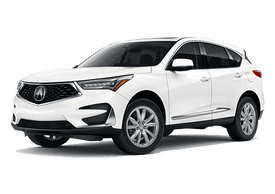 Drivers in the Glendale area know the area’s best Acura dealership is Bakersfield Acura, the dealer trusted by customers in Los Angeles and Kern Counties. We’re dedicated to helping you buy your next Acura car or SUV. When they need the best Acura dealer, Glendale drivers visit Bakersfield Acura. We have a large selection of beautiful Acura models, as well as the area’s best customer service. Our sales team members are committed to making sure you get a quality Acura vehicle. They’ll answer all your questions and go over the details of the models you’re interested in. You already know Acura vehicles are built to provide breathtaking performance and the utmost in comfort. Some customers visit our dealership knowing exactly which model and trim level they want, while others need some help deciding which one is best. Our friendly, expert sales team understand there are many exciting Acura models to choose from. 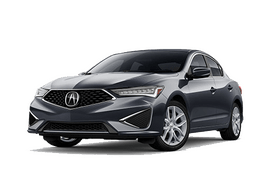 They’re glad to help you select the one that’s best, whether it’s a compact sport sedan like the Acura ILX, an SUV like the MDX, a crossover like the RDX, a luxury sedan like the RLX or any other model. Visit our dealership in Bakersfield and you’ll understand why so many of your friends and neighbors in Glendale visit Bakersfield Acura when they want to buy or lease a new Acura. We have all the newest Acuras in our showroom. Stop by and test drive a new Acura today. Or visit our website and browse our inventory at your leisure. If you’re looking for an economical way to get behind the wheel of a quality luxury vehicle, you might consider a pre-owned Acura. 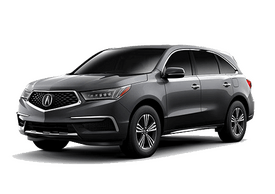 The renowned reliability of Acura cars and SUVs means you’ll get a great price on a dependable model you’ll enjoy driving for years to come. Of course, all our pre-owned and certified pre-owned vehicles are meticulously inspected to ensure we only sell the finest models. Stop by and talk with one of our sales consultants or view our pre-owned selection online. Getting the right financing for your Acura purchase can save you some money. The Bakersfield Acura finance team can locate the best loan package for you. You won’t have to spend time driving around the Glendale area looking for a lender. We make financing your Acura fast and easy. You can start the process right now by filling out our online finance application. Acura drivers in Glendale visit the Bakersfield Acura service center when they need routine maintenance or repair work. Our expert service technicians are equipped to handle all your service needs, from an oil change and brake inspection to hose replacement and engine work. Whether you have a new model, or your Acura has a few miles on the odometer, we’ll provide you with the area’s best service. You’ll find Bakersfield Acura at 4625 Wible Road in Bakersfield, right off the 99. Our dealership is open daily. Check our website for our hours and directions.